Today we woke up with a huge need to give away to our Hole19 golfers! What would you say to the possibility of having your next Premium renewal for free or at least having a pretty solid discount? And what would you say to this treat plus an awesome golf pack from Vice with the most fashion golf swag available on the market? Yes… just like that! ‘And what would I need to do to get this?’ - you ask. Easy Peasy! When you subscribe to a Premium plan on our website, you’ll receive several emails along the Premium journey with a personal code to share with your friends. If they subscribe to Premium using your code, they’ll receive a 10% discount right away on any plan (this works exclusively on the website). But here’s the best part: for every friend that redeems this code (and ends up becoming a Premium subscriber), you will get a 10% discount on your next renewal. Got 10 friends redeeming your code? Then 10 x 10% = 100%, your next renewal is FREE! 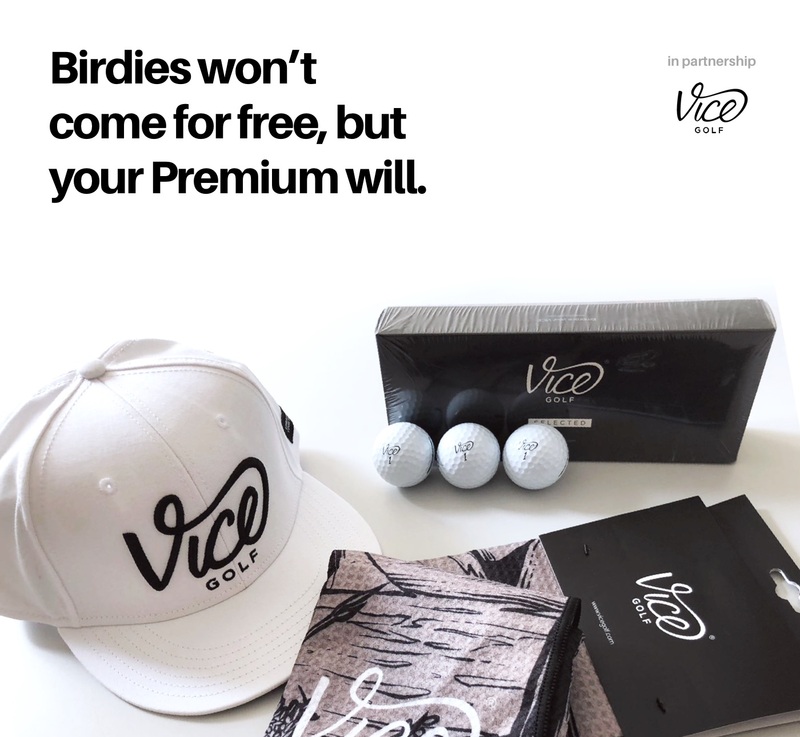 ‘And what about the Vice treat?’ - The golfer who drove the most subscriptions by September 30th will receive a Vice golf pack with a set of golf balls, cap and towel! See the treat with your own eyes. Feeling with any doubt? Get in touch with us at help@hole19golf.com!